Podcast 1597 of The Riley and Kimmy Show we play nerd/geek pop culture trivia and have a Golden Age of Radio production starring actress Eve Arden. 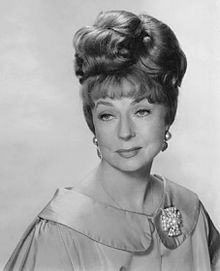 Actress Agnes Moorehead died April 30, 1974 at the age of 73. Best remembered for playing Endora on the TV series Bewitched. She was one of the most sought after actresses during the Golden Age of Radio. On this special podcast of The Riley and Kimmy Show we have one of the best Golden Age of Radio productions done starring Agnes Moorehead…”Sorry, Wrong Number”. Podcast 1596 of The Riley and Kimmy Show we talk about intimacy robots. We play nerd/geek pop culture trivia and have a Golden Age of Radio production starring actress Celeste Holm. Podcast 1595 of The Riley and Kimmy Show we play nerd/geek pop culture trivia and have a Golden Age of Radio production starring actor Michael Fitzmaurice. Podcast 1594 of The Riley and Kimmy Show we play nerd/geek pop culture trivia and have a Golden Age of Radio production starring Academy Award winning actress Sandy Dennis. 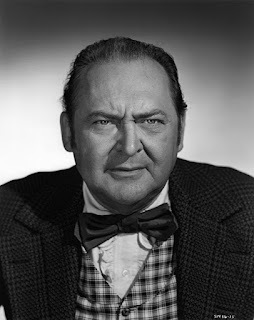 Podcast 1593 of The Riley and Kimmy Show we play nerd/geek pop culture trivia and have a Golden Age of Radio production starring Edward Arnold. Actress/comedian Lucille Ball died April 26, 1989 at the age the age of 77. On this special podcast of The Riley and Kimmy Show we have a Golden Age of Radio production Lucille Ball starred in from 1949. 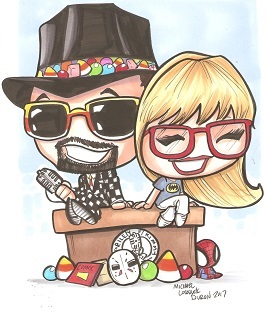 Podcast 1592 of The Riley and Kimmy Show we talk about Free Comic Book Day. We play nerd/geek pop culture trivia and have a Golden Age of Radio production starring actress Ginger Rogers. Podcast 1591 of The Riley and Kimmy Show we play nerd/geek pop culture trivia and have one of the best science fiction/fantasy productions from the Golden Age of Radio. Podcast 1590 of The Riley and Kimmy Show we play nerd/geek pop culture trivia and have a Golden Age of Radio production starring actress Paulette Goddard. 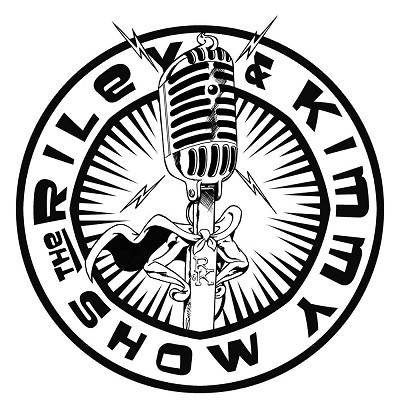 Podcast 1589 of The Riley and Kimmy Show we talk about a new fad for millennials. We play nerd/geek pop culture trivia and have a Golden Age of Radio production starring actor Eddie Albert. Podcast 1588 of The Riley and Kimmy Show we play nerd/geek pop culture trivia and have a Golden Age of Radio production starring actor Anthony Quinn. Podcast 1587 of The Riley and Kimmy Show we play nerd/geek pop culture trivia and have a Golden Age of Radio comedy production starring actress Elena Verdugo and two cartoon voice actors. Podcast 1586 of The Riley and Kimmy Show we play nerd/geek pop culture trivia and have a Golden Age of Radio production starring actress Elinor Donahue. Podcast 1585 of The Riley and Kimmy Show we play nerd/geek pop culture trivia and have a Golden Age of Radio production starring actress Barbara Hale. April 18, 1938 the first issue of Action Comics was published introducing Superman to the world. Available today your local comic book shop has Action Comics 1000. In honor of Action Comics being first published and issue 1000 we have three Golden Age of Radio Superman episodes back to back on this special Riley and Kimmy Show podcast. April 18, 1938 the first issue of Action Comics was published introducing Superman to the world. Available today your local comic book shop has Action Comics 1000. In honor of Action Comics being first published and issue 1000 we have three Golden Age of Rado Superman episodes back to back on this special Riley and Kimmy Show podcast. Podcast 1584 of The Riley and Kimmy Show we play nerd/geek pop culture trivia and have a Golden Age of Radio science fiction production starring actor William Holden. Podcast 1583 of The Riley and Kimmy Show we play nerd/geek pop culture trivia and have a Golden Age of Radio production starring actor Barry Nelson. Podcast 1582 of The Riley and Kimmy Show we play nerd/geek pop culture trivia and have a Golden Age of Radio production starring Hans Conried. Podcast 1581 we play nerd/geek pop culture trivia and have a Golden Age of Radio production starring Fredric March. 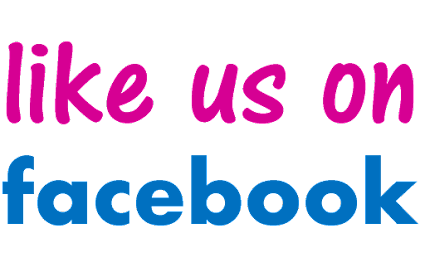 Podcast 1580 we talk about classic cars at the Celebration Exotic Car Festival in Celebration, Florida this Saturday and actor Butch Patrick’s appearance. We talk about classic cars we had in the past. We play nerd/geek pop culture trivia and have a Golden Age of Radio science fiction production about invisibility. Podcast 1579 of The Riley and Kimmy Show we play nerd/geek pop culture trivia and have a Golden Age of Radio production starring actor James Gleason and actress Nancy Olson. Shoutouts to John and Dion DiDonna and Phantasmagoria at Alive After Five in Sanford, Florida. Podcast 1579 of The Riley and Kimmy Show we play nerd/geek pop culture trivia and have a Golden Age of Radio production starring actor James Gleason and actress Nancy Olson. Shoutouts to John and Dion DiDonna and Phantasmagoria at Alive After Five in Sanford, Florida. Podcast 1578 of The Riley and Kimmy Show we play nerd/geek pop culture trivia and have a Golden Age of Radio production starring actor Paul Douglas. Podcast 1577 of The Riley and Kimmy Show we play nerd/geek pop culture trivia and have a Golden Age of Radio production starring actress Linda Darnell. Podcast 1576 of The Riley and Kimmy Show we play nerd/geek pop culture trivia and have a Golden Age of Radio science fiction production starring actor Ward Bond. Podcast 1575 of The Riley and Kimmy Show we play nerd/geek pop culture trivia and have a Golden Age of Radio production starring actress Claire Trevor. Podcast 1574 of The Riley and Kimmy Show we talk about Saturday morning cartoons. We play nerd/geek pop culture trivia and have a Golden Age of Radio production starring husband and wife John Agar and Shirley Temple. Shoutouts to Ricou Browning and Spooky Empire. Podcast 1573 of The Riley and Kimmy Show we play nerd/geek pop culture trivia and have a Golden Age of Radio murder/mystery production starring actor Mickey Rooney. Shoutouts to Spooky Empire and MegaCon Orlando. Podcast 1572 of The Riley and Kimmy Show we play nerd/geek pop culture trivia and have a Golden Age of Radio production starring actor Gregory Peck. Podcast 1571 of The Riley and Kimmy Show we play nerd/geek pop culture trivia and have a Golden Age of Radio production starring actor Edgar Buchanan. Podcast 1570 of The Riley and Kimmy Show we play nerd/geek pop culture trivia and have a Golden Age of Radio comedy starring Martin and Lewis with Lucille Ball. Podcast 1569 of The Riley and Kimmy Show we play nerd/geek pop culture trivia and have a Golden Age of Radio production starring actor Jack Webb. Podcast 1568 of The Riley and Kimmy Show we play nerd/geek pop culture trivia and have a Golden Age of Radio production starring actress Debbie Reynolds.